The 2013 Camaro ZL1 is the most technologically advanced Camaro of all time with a 580-horsepower 6.2L supercharged V8, lightweight aluminum hood and downforce-inducing aerodynamics. Loaded with the latest in safety and performance technology like Magnetic Ride Control with Performance Traction Management, just one of the added features of this street-legal performer. 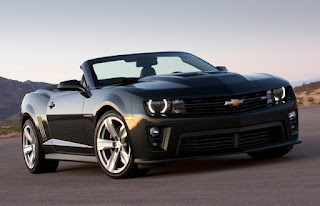 For a limited time you can save thousands of dollars when you take delivery of any 2013 Chevrolet Camaro ZL1 in stock at Jeff Gordon Chevrolet in Wilmington, North Carolina. Don't live near Jeff Gordon Chevrolet? No problem, our GM Certified Internet Sales Managers can arrange hassle free delivery right to your front door with our Exclusive Door-To-Door Delivery Program. Performance Event Pricing includes all current incentives, residency restrictions may apply. Some offers may not be combined.